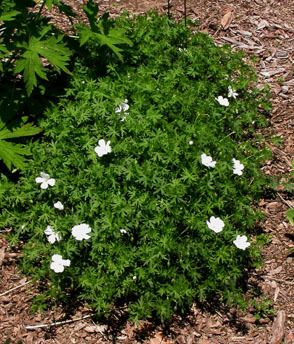 A compact plant that forms a dense, leafy clump that works well against weeds. 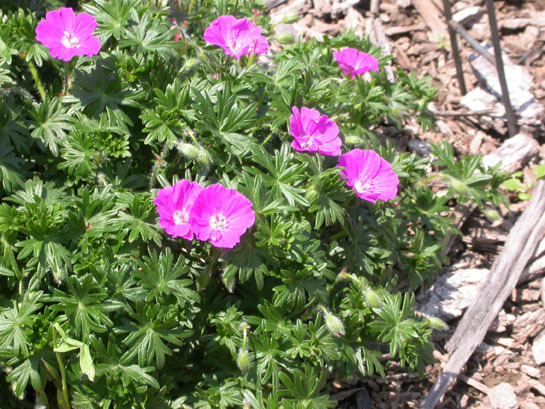 Bright violet/magenta flowers bloom from early June through August, and foliage turns a crimson red in fall. Leaves are basal, deeply lobed and fern-like. 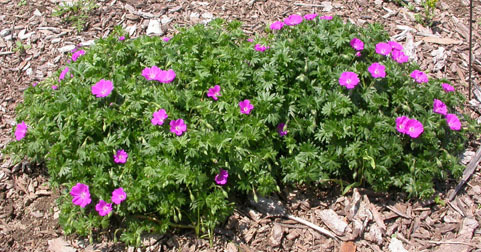 Plant Use: In the front of beds and borders, as a ground cover. 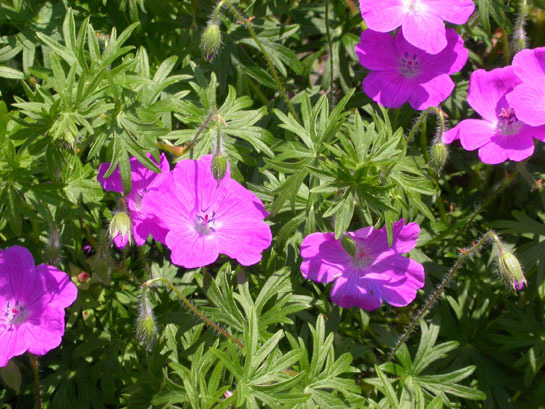 Additional Comments: 'Nanum' is more compact, growing only to about 8 inches. 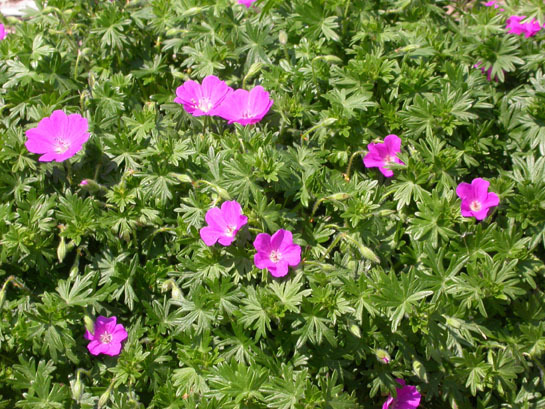 Its flowers are more cup-shaped and the cultivar is more floriferous.